I have some glyphs that use overlapping quadratic curves. 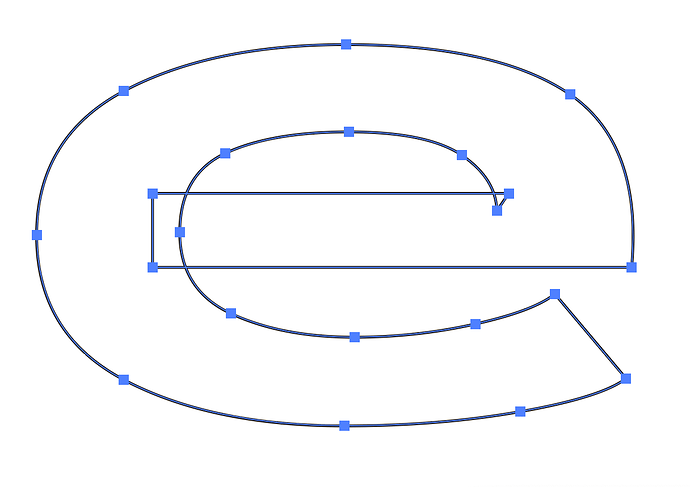 Exporting as TTF/OTF with the “Remove Overlap” option doesn’t remove the overlap (see below). Is this a bug or a limitation in working with quadratic curves? Or is it bad practice on my part to have overlapping quadratic curves? I believe it was @LucasFonts who told me that you actually can have overlaps in TT. Hadn’t known that either. True that overlap removal with TT curves is only partially implemented at the moment. Thanks @mekkablue - any chance it’ll be implemented fully in the near future? The current code is difficult to fix. I would try round-tripping to PS curves. Lots of awesome updates lately! Any chance this fix will be one of them in the near future?